The site for this proposed Panera Bread was within an existing 20 acre, 144,000 square foot shopping center. 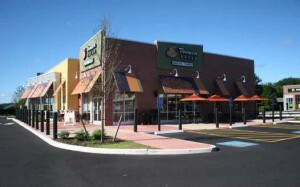 The restaurant is sited in at the south end and within the main front parking lot and takes advantage of very high visibility and traffic offered by adjacent CT Route 99, the Silas Dean Highway. 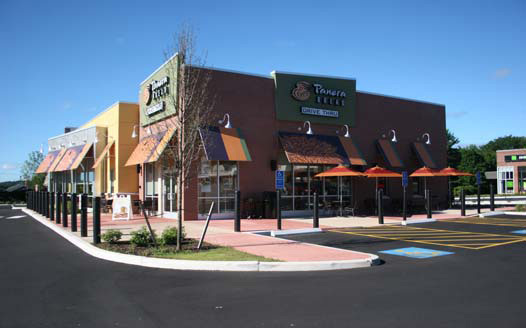 This restaurant is based on the Panera Bread model that includes a drive through service window. 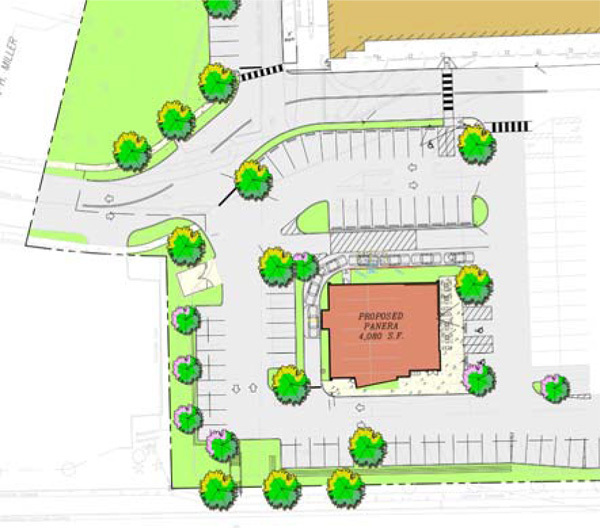 This complicated the design of site circulation, but LRC was able to satisfy the tenants preferred building siting and traffic patterns by re-aligning an existing entrance drive and modifying the drive adjacent to the face of the existing retail building. The project completed land use approvals in the spring 2011, with construction starting immediately and opened in the fall of 2011.